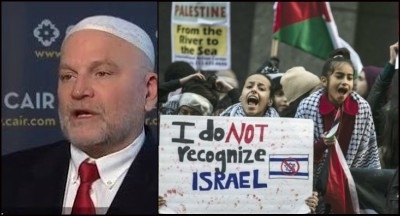 Ibrahim Hooper, national communications director for the Council on American-Islamic Relations (CAIFR), issued an unprecedented statement condemning calls for violence against Jews at a December 8 anti-Israel rally. But is the rest of CAIR ready to make this change? The phrase refers to a battle fought by Muhammad and his army against a tribe of Arabian Jews (in which the tribe was largely exterminated) and is now used to threaten modern Jews with a similar fate. 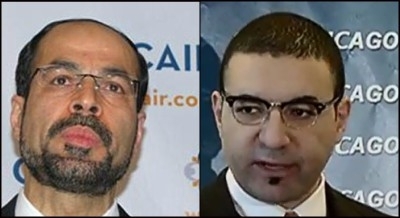 So, when CAIR-NY did not return either request for comment, we contacted Ibrahim Hooper, CAIR-national's national communications director and spokesman, and sent him video footage of the rally. Much to our surprise, Mr. Hooper replied by condemning the chants unequivocally. "CAIR has a long history of challenging anti-Semitism in all its forms. We believe that such statements are inappropriate and should be condemned," he wrote. While we welcome condemnation of Islamist anti-Jewish bigotry by Mr. Hooper and CAIR-National, we can't help but contrast Mr. Hooper's statement with an examination of CAIR's past sanctions of anti-Semitism and those who peddle it. CAIR endorses speakers, events, and groups that promote anti-Semitism. And, at an conference at Brooklyn College organized by the Islamic Association for Palestine (now defunct and designated by the U.S. government as helping fund Hamas) and co-sponsored by CAIR, invited speaker Wagdy Ghoneim led the audience in chanting "No to the Jews, decedents of the apes."